Tapioca is also known as Cassava or Yuca. Yuca root is a major source of carbohydrates. A small amount of toxins are present in tapioca which will be removed by boiling. So we have to boil the tapioca at least two times. First using a knife peel the skin of the tapioca. You have to remove both the thin brown color skin and thick pink color skin. Then wash it properly and cut it into medium size pieces. Then cook the tapioca pieces by adding enough water, till the water starts to boil. Then drain the water and then again start cooking it by adding fresh water along with 1/2 tsp of turmeric powder and salt till the tapioca becomes soft.Then again drain it using a colander, but this time you have to drain it nicely and keep it aside. Meanwhile grind coarsely grated coconut, green chillies, dry red chillies, garlic, shallots, cumin seeds and turmeric powder. Just 3-4 pulses in mixer grinder is enough. No need to add water. Then transfer the cooked tapioca pieces to a pan and keep it in a very low flame. This will help in removing any water left in the tapioca pieces even after draining. Then add ground coconut mixture and using the back side of a wooden spoon, mash the tapioca pieces while mixing and remove from the flame. Then heat oil in a pan and add mustard seeds. When it crackles, add curry leaves and dry red chillies and pour this to the cooked tapioca. Enjoy kappa with spicy fish curry / beef curry / chicken curry. Adipoli clicks! 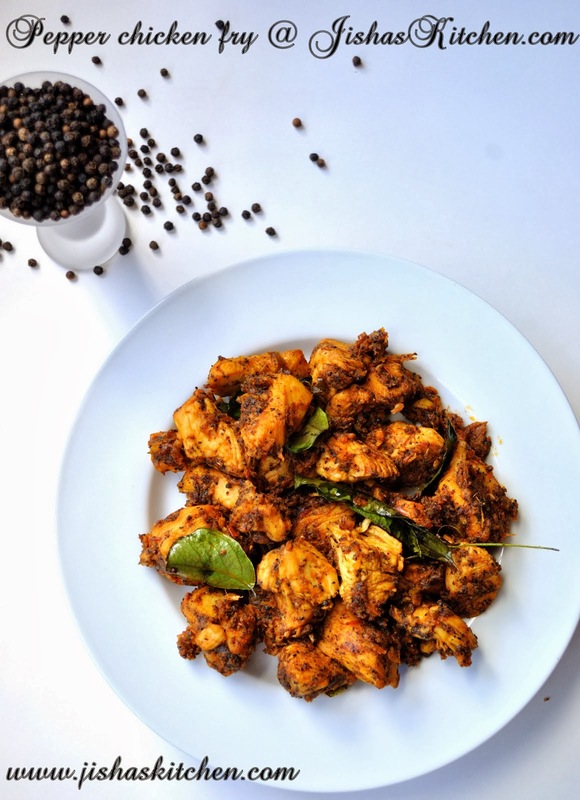 Ethu kannumbol veettilathe kappa puzhukku orma varunnu..Amma undakunna kappa puzhukku kandal ethu pole thanneyirikkum..
Looks lovely ans delicious... 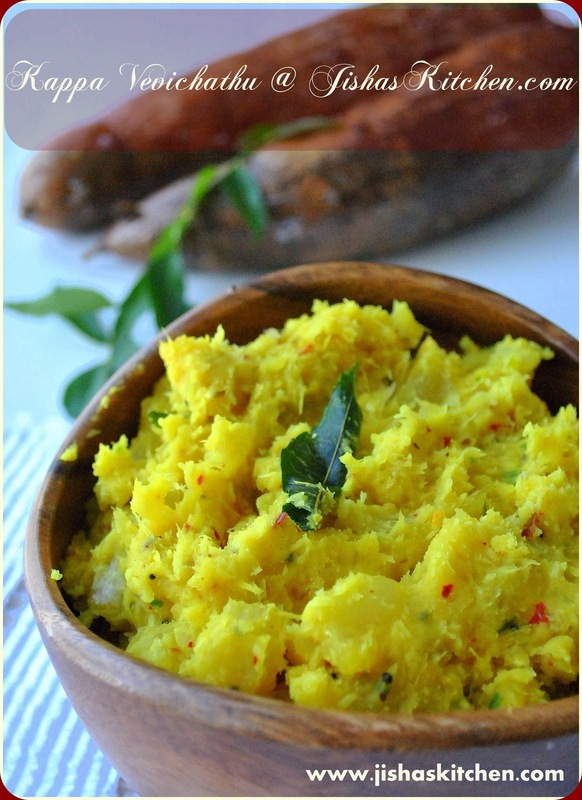 The colour is amazing..
Yum, very inviting mashed kappas..just give me a spoon,am ready to finish that whole bowl rite now.. I have some tapioca brought sterday,you tempt me to try this one! First time here, So much of rich collections, I made kappa for evening snack today, Lovely! Aww jisha kutti, Not only drooling over kappa but also craving for mom's kappa and houseboats . 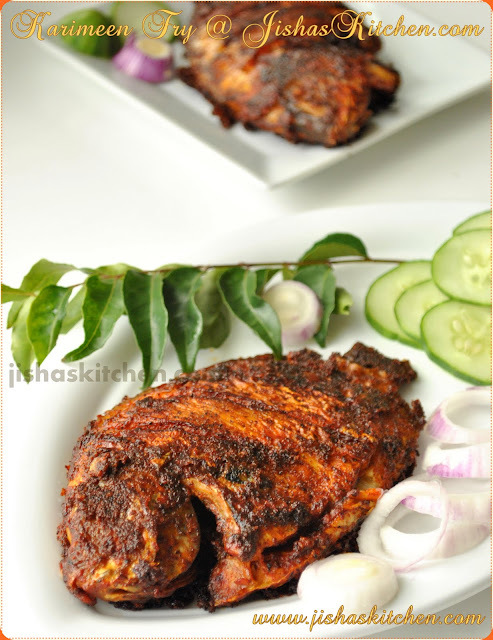 Those look yumm..
Ethiri meen curryum koode undengil kushal..adipoli clicks dear,very tempting. I like this recipe, it something I can do. We call the kappa, yucca. curry is looking so awesome. You have an award waiting at my blog. please collect it. Wow, stunning pics and such a delicately flavoured dry curry, have never tasted this root but sounds very interesting. Drop by and check out my space whenever time permits. This is simply great. I tried this for my dinner. Wow,what is life for a Malayali without kappa and Meen Kari?